As with most things we see in the movies, the real world just isn’t the same. In the movies, the characters (good or bad) crawl through and drop down from ducts, hide enormous gems and weapons in vents, and even set up cameras and microphones in these areas. While ducts and vents may seem to be the perfect “hiding in plain sight” spots, tampering with your HVAC system in this way could cause unintended damage and put your family in danger. Placing items inside your ducts and behind vent covers will immediately restrict the flow of air through the HVAC system. Repeated removal and reinstallation of vent covers to access and hide items could damage the fins of the vent cover as well as the mechanisms within the cover which will also limit airflow into interior spaces. Airflow blockages will force your heating and cooling systems to work harder in order to move air into your home, stressing the HVAC equipment to the point of malfunction or a breakdown. Speaking of airflow, lightweight items such as documents and cash can be picked up by the airflow and carried through the system. This could become an issue not only because you’ll lose the items, but also where they may end up. Papers can clog the air filter, restricting airflow and those same items could come into contact with sensitive components and wreak havoc. Using your home’s heating ducts to store valuables may also put you at risk of a fire. When kept in a heated area, such as heating supply ducts, your items could catch fire. Instead of protecting a few things, you may be putting your home and your family in danger. While a long run of ductwork may seem like an ideal place to hide things, The International Association of Certified Home Inspectors (InterNACHI) warns homeowners never to do this. 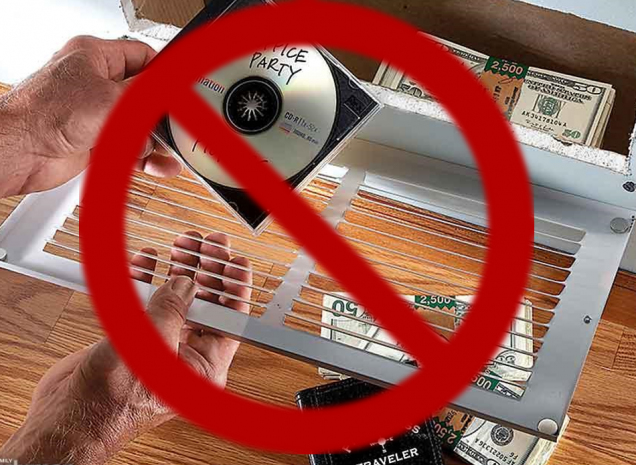 They do however have a pretty comprehensive rundown of the 10 best places to hide valuables in your home and your home heating and cooling system isn’t one of them.